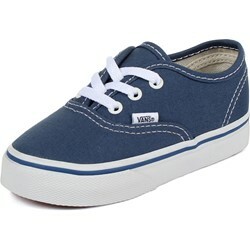 The Authentic, Vans original and now iconic style, is a simple low top, lace-up. "We love these! 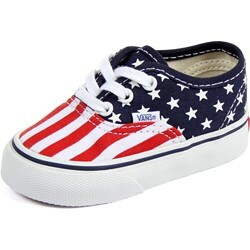 They are perfect for the forth of July and my son loves them because they remind him of Captain America. Thank you for a excellent product all around!" 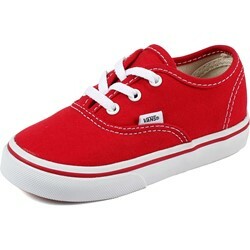 "Loved the shoes for my son, he seems to like them as well he never takes them off." 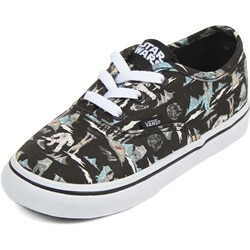 "i was very please with the Vans I ordered for my grandson. The shipping was very accurate and on-time. I will be purchasing some more at a later day. Thanks for everything. " "I love these sneakers! The colors are vibrant and the american flag looks so cool!! Very cute and true to size. " "My son loves them!!! Fit perfectly 😁"